Hello friends, now we're sharing a great blog style blogspot theme. 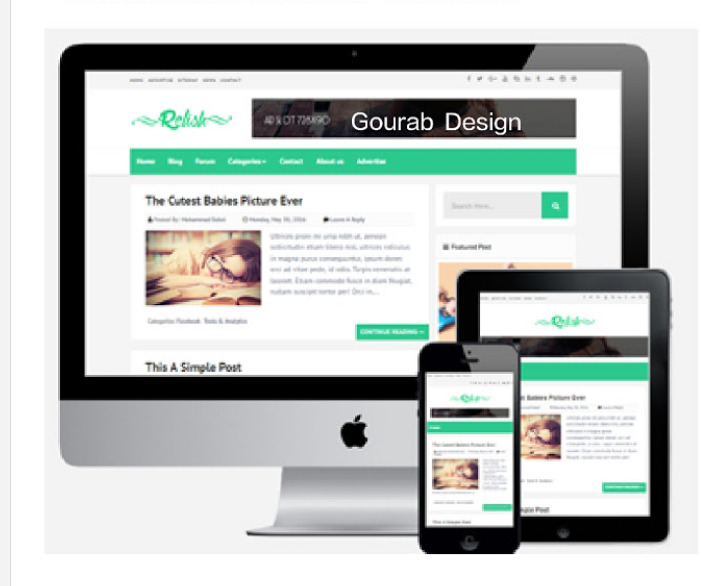 As you know, Gourab Design should always try this amazing and minimum models, if you are running a blog on the Blogger platform, the wonderful and creative is now sharing a unique and premium for you. Relish is a fully responsive and SEO optimized blog style blogger template. Slash is the second best by GD Design. If you run a blogging site, then we recommend you use this. Relish is a 100% responsive, which is compatible with all devices. This is very easy to customize with one click. You can apply unlimited colors and 100+ Google Fonts with Designer option. There are some awesome features: You can easily customize this without any coding knowledge. Plz note that:- . Fastest load.. Green Designing.. All In 1 Seo pack.. Relish is highly pure responsive designs blogspot thme, which is compatible with all types of smartphone devices. Mobile-friendly is most important for SERP. Mobile-friendly and user-friendly blogspot premium that will make your blog faster. i like relish template very much but i cant successfully change the meta tags. Actually i dont understand the coding correctly please give me little guidance.